Staff may need to make adjustments in their approach to teaching in order to comply with the Equality Act 2010. The underpinning concept here is that we develop and apply an inclusive pedagogy, which in itself is the reasonable adjustment that removes disadvantage, so that students with a disability need no further, additional support. The actions that constitute an inclusive pedagogy are set out in the guidance below. In these situations, the University, through Disability Services, will assess the additional support needs of the student and identify, source and pay for such support, up to a maximum amount. 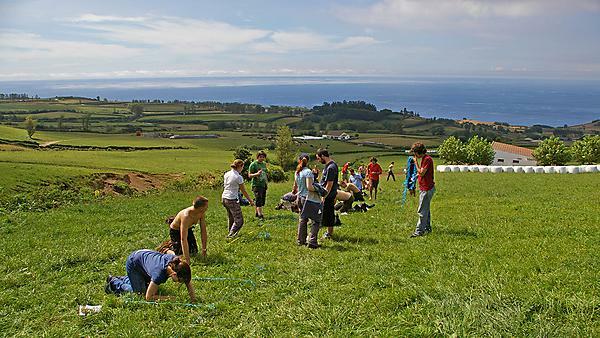 The University of Plymouth Code of practice for field work and off site activities (login required). The University of Plymouth Guidance for Schools for inclusive off campus learning activities, residential,day field trips contains information, guidance and instructions for module leaders and others running field trips. Advice for academic staff on how to assist students with specific disabilities on field trips. Royal Geographic Society – information, notes and PowerPoint from a workshop on inclusive fieldwork and expeditions. Six web-based guides from the Geography Discipline Network at the University of Gloucestershire are the result of the 'Learning Support for Disabled Students Undertaking Fieldwork and Related Activities' project, funded by HEFCE's Improving Provision for Disabled Students Funding Programme. Alison Stokes and Mark Anderson from GEES presentation at the Geological Society 2015: Accessible fieldwork in higher education: challenges and opportunities. Issues in Providing Learning Support for Disabled Students Undertaking Fieldwork and Related Activities. Healey et al (2001). The University of Otago. NZ delivers field trips in Geology. Virtual Field Trip Simulation for Occupational Medicine Distant Learners – University of Otago NZ. Enabling Remote Activity (ERA)- Open University.